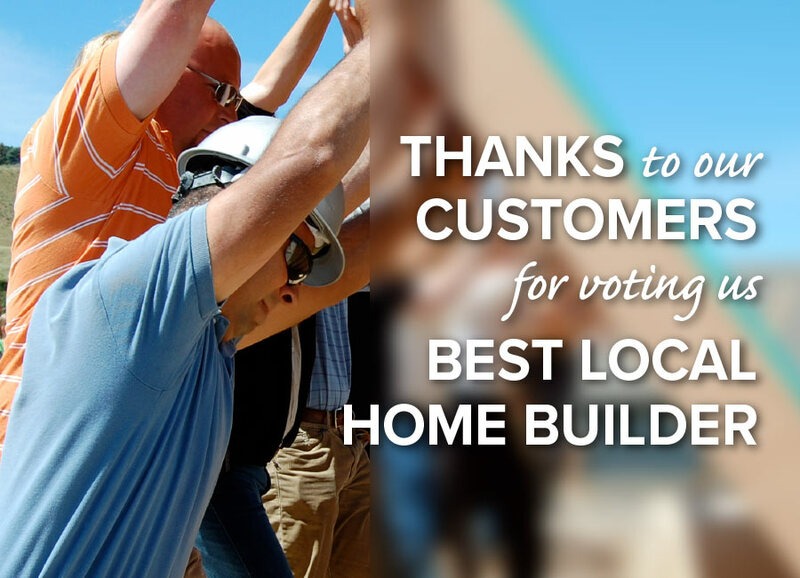 REDMOND, Ore. — Hayden Homes has been voted the Best Local Home Builder from The Source Weekly’s 2017 Best of Central Oregon reader poll. The Source Weekly’s Best of Central Oregon reader poll is an opportunity for readers to nominate and vote for their favorite organizations – from homebuilders to gyms, day spas, restaurants and more. The results have become criterion for excellence among local businesses and organizations. For a full list of winners visit www.bendsource.com. Hayden Homes provides high-quality, value-driven homes throughout Oregon, Washington and Idaho. Established in Redmond, Oregon in 1989, Hayden Homes has built more than 14,000 homes in over 300 new home communities. Hayden Homes continues to be the largest privately owned new home builder in the Pacific Northwest. With a commitment to building strong communities together, Hayden Homes has contributed 2.5 billion dollars to local economies and creates more than 5500 jobs annually. Hayden Homes supports philanthropic efforts in the communities in which they build and have contributed more than 13.3 million dollars in charitable donations with the flagship of their giving through the 501C3 Non-Profit, First Story. To date, First Story has provided 69 work-force families throughout the Pacific Northwest with an affordable home ownership opportunity and a first step toward financial freedom. The Hayden Homes brand family of companies includes Simplicity by Hayden Homes, Wise Size Homes and Hayden Homes, all providing an unparalleled selection of opportunities for those looking to purchase a new home in Central Oregon. REDMOND, Ore. — Hayden Homes received six awards in the 2017 Central Oregon Builders Association (COBA) Tour of Homes. The Tour of Homes is a showcase of the finest homes in Central Oregon. The judging process included criteria such as floor plan, kitchen design, architecture, landscaping and interior finish. REDMOND, Ore. — Hayden Homes received six awards in the 2017 Central Oregon Builders Association (COBA) Tour of Homes. The Tour of Homes is a showcase of the finest homes in Central Oregon. The judging process included criteria such as floor plan, kitchen design, architecture, landscaping and interior finish. View the Obsidian Trails Tour, Bailey Estates tour, or Village at Cold Springs tour. With a commitment to building strong communities together, Hayden Homes has contributed 2.5 billion dollars to local economies and creates more than 5500 jobs annually. Hayden Homes supports philanthropic efforts in the communities in which they build and have contributed more than 13.3 million dollars in charitable donations with the flagship of their giving through the 501C3 Non-Profit, First Story. To date, First Story has provided 69 work-force families throughout the Pacific Northwest with an affordable home ownership opportunity and a first step toward financial freedom. The Hayden Homes brand family of companies includes Simplicity by Hayden Homes, Wise Size Homes and Hayden Homes, all providing an unparalleled selection of opportunities for those looking to purchase a new home in Bend, Oregon, a new home in Redmond, or a new home in Sisters, Oregon.